The exclusive dating site is hoping to distinguish itself from other matchmaking agencies in the Windy City. Chicago, IL, November 27, 2017 --(PR.com)-- Silver Edition Club is bringing its superior matchmaking ability to the Chicago market with the goal of attracting the most successful gentlemen and ladies in the Windy City together. The agency is offering a business-like approach to a slew of accomplished individuals seeking to meet other high-caliber professionals with the hopes of finding a long-lasting romantic connection. The Silver Edition Club experience is poised for success in the largest city of the Midwest as its sophisticated screening process distinguishes itself from the Los Angeles-style of marketing that other matchmaking agencies have brought to Chicago. The upscale matching service’s talent pool consists of the cream of the crop in numerous industries and the modeling world in various ways. Silver Edition Club examines a robust database of female members through casting events and social media outreach, primarily Instagram. Instead of accepting every applicant to the matchmaking site, the agency is very selective in determining who enters its exclusive club. “We are focused on the value of the quality of the prospective match,” Joy continued. More dates are offered on Silver Edition Club than other matchmaking services; roughly one to three per month, depending on a client’s schedule. The executives behind this concept offer flexible payment options as the entire fee is not due upfront. Over the coming one to three years, the agency’s founders are opening up a sister site to Silver Edition Club, available only to the LGBTQ community. Such a move would offer additional booking opportunities for female members in the modeling and entertainment space. 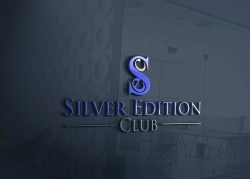 Samantha Joy, founder, CEO and managing partner, and Mike Patrick, founder, special assistant and managing partner, launched Silver Edition Club with the idea of offering a focused dating pool to successful gentlemen who were indifferent and “above” online dating. Both Joy and Patrick are accomplished and well-connected members of the entertainment industry, working for a Fortune 500 recruiting agency and building several successful online businesses respectively. The two came together to bring forth a revolutionary social club with a strict screening process and the guarantee that each member’s privacy would be protected. The agency often directs castings for models and invests greatly in social media marketing. The two founders also took the time to listen to what their male clients were seeking in a female partner and accepted female affiliates accordingly. Silver Edition Club’s male clientele can expect to garner one to three matches per month. For more information, visit SilverEdition.Club.